Another good day, with temperatures reaching 23 degrees C. Highlights included Green Sandpiper and Greenshank on the marsh, a Short-eared Owl in the dunes, on the NWT 3 Ring Ouzels were still of note and 2 Firecrests were in the area of the NWT first hide, with at least 2 Cuckoos, 10 Chiffchaffs, 12 Willow Warblers, 15 Blackcaps, 2 Lesser Whitethroats, 4 Whitethroats, 7 Grasshopper Warblers, 12 Sedge Warblers, 1 Reed Warbler singing at the east end of the NOA reserve, 2 Stonechats on the east bank, 3 Wheatears, 5 Yellow Wagtails a Tree Pipit, a single Siskin and 3 Crossbills over calling. A further 6 Emperor Moths hatched during the day and butterflies included Brown Argus, Green Hairstreak, Speckled Wood, and Comma. A beautiful day with a few migrants still moving, highlights were 2 Eider and 2 Common Scoter offshore together with 4 Sandwich Terns passing, a Red Kite, 14 Whimbrel flew over calling, a Black-tailed Godwit and 12 Ruff were on the grazing marsh, Barn and Short-eared Owl were seen during the day, 5 Sand Martins and 12 Swallows flew through and 10 Chiffchaffs, 6 Willow Warblers, 10 Blackcaps, a Garden Warbler singing, Whitethroat and Lesser Whitethroat, 4 Grasshopper Warblers, 8 Sedge Warblers, 4 Ring Ouzels on the NWT, 2 Stonechats, 6 + Wheatears, a Yellow Wagtail, one Tree Pipit, a Brambling and 2 Redpolls all recorded. 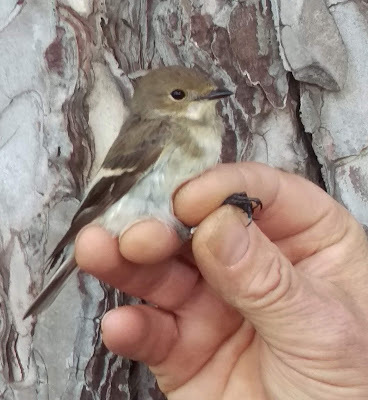 Another busy day, with one of yesterdays Pied Flycatchers remaining, which was subsequently ringed. Two Black Redstarts and at least one Common Redstart were on and around the East Bank by the obs all day. 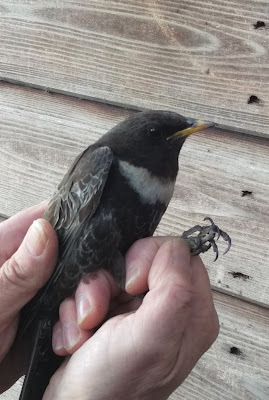 At least seven Ring Ouzels were noted over the recording area along with eight Wheatears, 33 Black-tailed Godwits, 3 Whimbrel, Short-eared Owl, four Grasshopper Warblers, Cuckoo and single additional Black and Common Redstarts. Six Eider were on the sea and the moth trap produced a rather smart Streamer moth. A productive day especially from a ringing perspective with both Ring Ouzel and Black Redstart ringed. 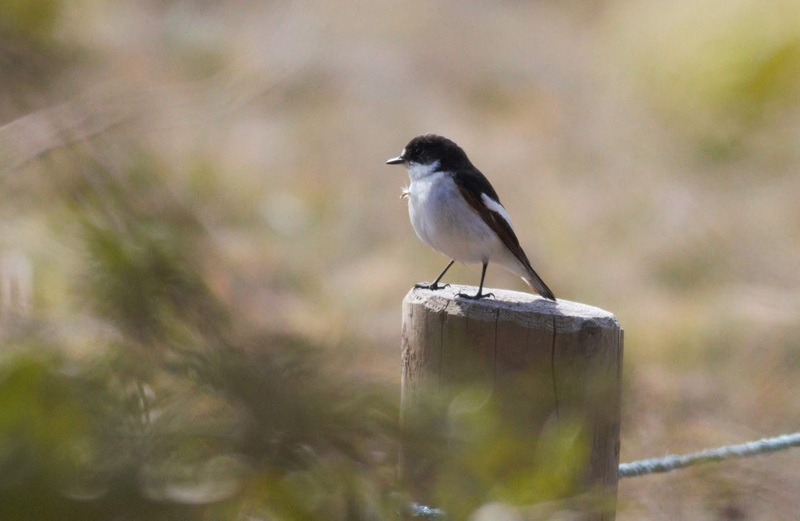 Three Pied Flycatchers and two Black Redstarts spent the majority of the day on the reserve with two of the Pied Flycatchers regularly utilising the posts outside the Obs building. A drake Garganey was on Redwell Marsh seemingly later relocating to the NWT reserve. Other birds of note included at least six Ring Ouzels in total, Short-eared Owl, Common Redstart, Greenshank, Fieldfare and Brambling. Butterflies put in an appearance too, with seven species recorded including Holly Blue and Green Hairstreak. In some ways a repeat of yesterday, with at least four Ring Ouzels present and the Black Redstart still on the East Bank. A singing Firecrest was a nice find early afternoon and other birds of note today included two Short-eared Owls, four Wheatears, a flyover Yellow Wagtail (with a second in the NWT car park), Tree Sparrow, Whimbrel, Grasshopper Warbler, Brambling and Fieldfare. 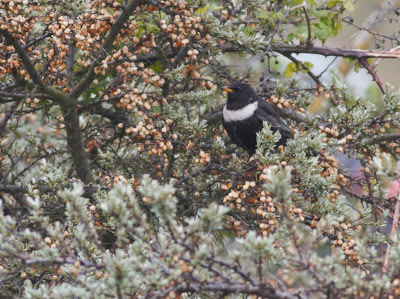 Ring Ouzel feeding in the Sea Buckthorn. A better day for migrants with highlights including 7 Eiders, 20 Common Scoters, 3 Red-breasted Mergansers and 6 Sandwich Terns offshore, while other birds of note included 7 Swallows, 10 Chiffchaffs, 5 Blackcaps, a Common Whitethroat, a male Grasshopper Warbler reeling on the NWT and a male Sedge Warbler also singing there, at least 4 Ring Ouzels in the recording area with 3 flying east along the east bank mid afternoon, and one in the NWT car park early morning, with a Redwing, 5 Song Thrushes, 1 Mistle Thrush, a female Black Redstart on the east bank at the Obs, 4 Stonechats, 3 Tree Pipits over calling, and a Brambling also of note. Ringing today produced 22 new birds and 2 retraps. Highlights were 4 Blackcaps (the heaviest weighing 23.2g), 4 Robins, 5 Chiffchaffs and 4 Willow Warblers. Moths were scarce with just 3 Powdered Quakers and a Hebrew Character in the traps. A cold and unfriendly day with occasional showers, highlights included a Green Sandpiper along the Broadwater, 2 Sandwich Terns passing offshore, at least 2 Ring Ouzels were in the NWT car park area and another was at the back of Holme village. A Brambling was at the Observatory and a Crossbill was in the pines briefly. A Red Kite drifted over and 2 adult Med Gulls were on the grazing marsh. A Short-eared Owl was on the NWT near the forestry, and 4 Swallows, 8 Chiffchaffs, 2 male Ring Ouzels (one singing near the NWT centre), 2 Stonechats along the east bank, a Brambling in the pines and 2 Siskins over calling were the highlights today. On the sea today 2 Red-breasted Mergansers and a single Gannet were of note. Raptors included a Red Kite and male Hen Harrier, while waders on the grazing marshes included 2 Black-tailed Godwits, Greenshank and 13 Ruff. A Short-eared Owl was on the NWT reserve and a Ring Ouzel was also present there during the morning but elusive. Also of interest were 3 Chiffchaffs, a Blackcap and a single Crossbill in the pines. A slightly better day today both weather and migrant wise. 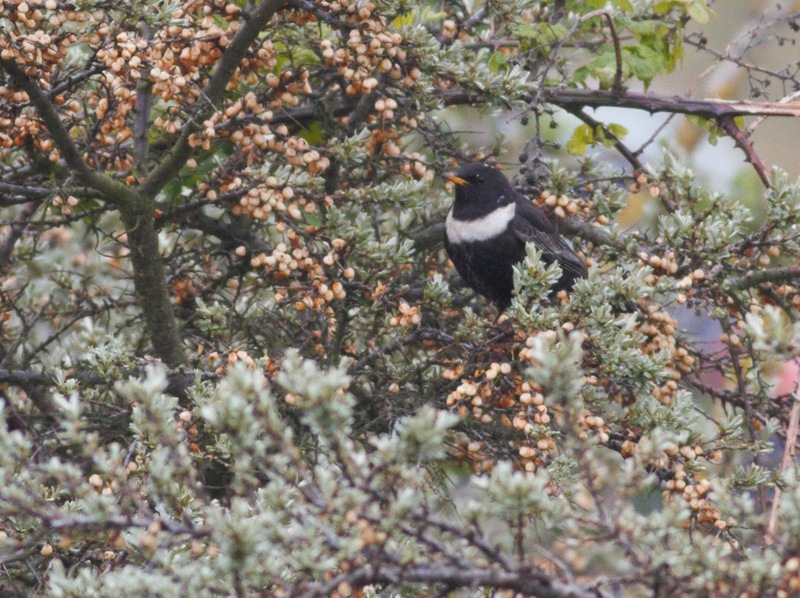 A Ring Ouzel was seen at Thornham Harbour, the first singing Whitethroat appeared on the NWT reserve and a Wheatear and two Swallows were seen near the Observatory. On the sea an hour seawatch produced a Great Northern Diver, two Red-throated Divers, four Eider and a Shag with a Velvet Scoter reported later in the afternoon too. On the grazing Marsh and around the Broadwater there were 19 Golden Plover, 14 Ruff and a single Little Ringed Plover. Another relatively slow day bird wise, with a mixture of a few remaining winter visitors Pink-feet (5) Brent Geese (15) and Wigeon (8) and summer visitors in the form of three Swallows and two Wheatears. Other birds of note included a Peregrine, Red Kite and two Eider. Two Swallows flew along the east bank, a Red Kite drifted over the village early morning and the same or another was present in the afternoon. Four Siskins, 3 Blackcaps, 10 Chiffchaffs, 9 Ruff, and 6 Black-tailed Godwits were of note in the recording area, and offshore an Eider and a Great Northern Diver were of interest. A foggy and frustrating day with poor visibility throughout. 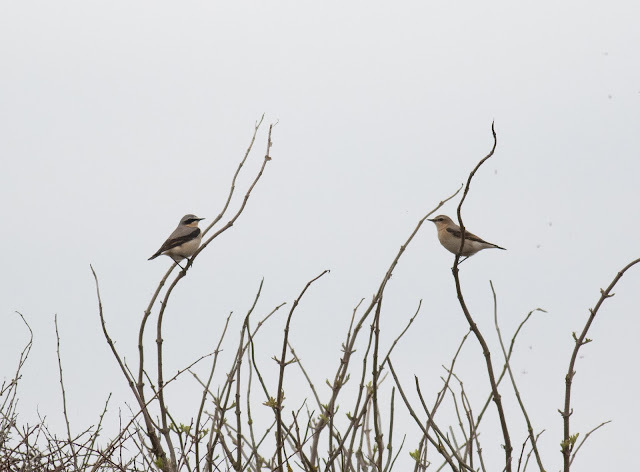 A male Wheatear was on the east bank with a pair of Stonechats, and Blackcap and Chiffchaff were on the reserve. Four Med Gulls were noted and 2 Siskins flew over calling. A cool and cloudy day with light north-easterly winds, a Great White Egret was reported over Lavender Marsh and a Red Kite was of note, with 12 Black-tailed Godwits and 15 Ruff on the grazing marshes and a Short-eared Owl was also seen. 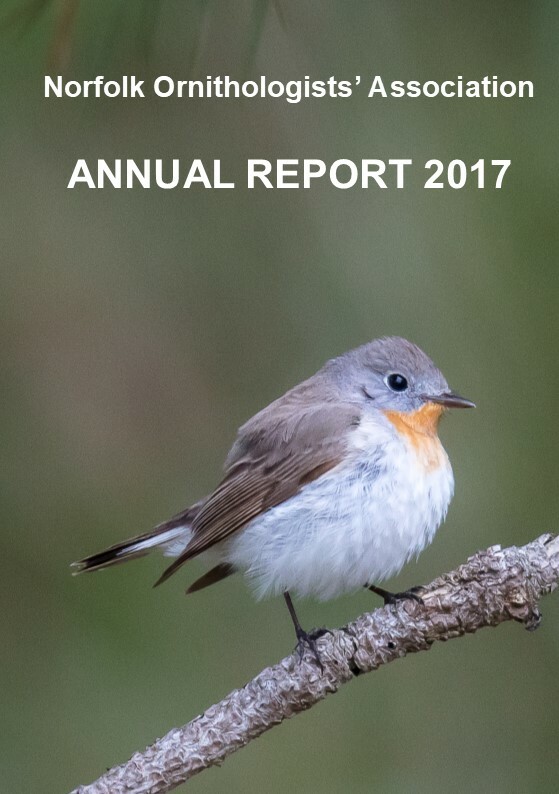 At least 10 Chiffchaffs were in the recording area and 2 male Blackcaps were ringed during the day, with a male Wheatear on the east bank and another 3 on the NWT reserve, 5 Stonechats also in the recording area, and a single Crossbill and 5 Siskins flew over calling. Moths were scarce with just 2 Powdered Quakers, a Hebrew Character and a Red Chestnut in the traps. At least one Red Kite was seen both morning and afternoon drifting over the grazing marshes, two Ruff were at the first NWT hide and 2 Med Gulls flew past the car park hide, and a Peregrine was of interest. Two Swallows were of note, 4 Cetti's Warbler were recorded and 16 Chiffchaffs, a Willow Warbler and 3 Blackcaps were seen. 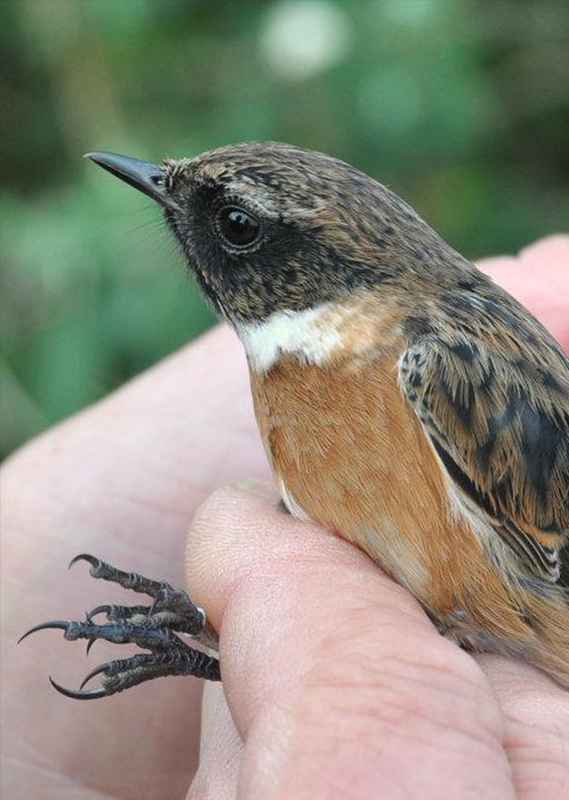 Three Stonechats were of interest and a Rock Pipit and 6 Siskins were logged. A Green Hairstreak was around the reserve and 2 Peacocks were also present. A Fieldfare and several Siskins plus the heavy morning frost gave a wintery fell to the start of the day, though this was balanced by a Swallow and at least six Blackcaps later around the site. On the sea there eight Eider noted and birds of prey were represented by a Peregrine and a Red Kite. The Firecrest was again at Walsey Hills. With singing Chiffchaffs and Blackcaps you could have thought spring had arrived, though the frozen hail that carpeted the edge of path to the Obs early morning told a different story! A Short-eared Owl in the dunes, two Siskins and a Red Kite over East and a pair of Stonechats on the East Bank ( the male colour ringed and from the Dersingham Bog project) were the highlights of the day. A Firecrest was also present at Walsey Hills. A quiet day with a sharp north-easterly. A flock of 14 Pink-feet were still on the grazing marshes and 2 Stonechats were on the east bank. Two Redwings flew over calling early morning and 2 Chiffchaffs were singing around the reserve. Peacock and Orange Tip were around the Observatory, with Early Thorn, Pine Beauty, 5 Clouded Drabs, 4 Common Quakers, 7 Small Quakers, and 5 Hebrew Characters in the moth traps. Another beautiful spring day, with light winds and hazy sunshine. A Red Kite drifted over and 6 Black-tailed Godwits and 6 Ruff were at the NWT hides. 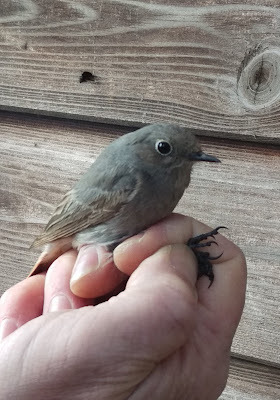 Two Swallows flew through west, at least 10 Chiffchaffs were present and a single Redwing flew over early morning together with at least 9 Redpolls with one Mealy Redpoll trapped and ringed. On the NWT reserve a Black Redstart and 3 Wheatears were of note and along the east bank a pair of Stonechats were feeding, with 3 Siskins flying over calling. The moth trap contained 15 Hebrew Characters, 2 Clouded Drabs, 12 Small Quakers, 2 Common Quakers and 2 Red Chestnuts. Butterflies included Orange Tip, Brimstone and Peacock. A Natterjack Toad was calling near the pond. A bright and sunny day with a light southerly breeze, a few migrants were seen with 4 Sandwich Terns passing west offshore, a Swallow through west and at least one Crossbill in the pines in the NWT car park. A pair of adult Med Gulls flew high over the Observatory and at least 10 Chiffchaffs were recorded during the day. A group of 16 Pink-feet were on the grazing marsh, and 2 Blackcaps were heard. Seven Siskins flew over the pines calling. In the moth traps 4 Clouded Drabs, an Early Thorn, 7 Small Quakers, a Common Quaker and 15 Hebrew Characters were counted, and butterflies included 8 Peacocks, 2 Brimstones, a Comma and a male Orange-tip. Norfolk Great White Egret 1ml ESE of Potter Heigham still at Potter Heigham Marshes +16.Russian White-fronted Geese 3. Common Cranes. A major movement of Kittiwakes took place with 809 west in 4 and a quarter hours and 11 Eiders, 4 Common Scoters, 15 Red-breasted Mergansers, 13 Fulmars, 5 Gannets and 9 Great Crested Grebes also recorded offshore. Also of note today were 3 Spoonbills which landed on the NWT grazing marshes, 14 Pink-feet, 11 Ruff, an adult Med Gull, one Cetti's Warbler, 6 Chiffchaffs, a pair of Stonechats on the east bank and 11 Siskins in the pines. In the moth traps an Oak Beauty, 6 Small Quakers, 4 Hebrew Characters, 1 Common Quaker, 2 Clouded Drabs, a Powdered Quaker and a Pine Beauty were present. A beautiful day at the Obs, highlights were 11 Eiders, 1 Common Scoter, 23 Red-breasted Mergansers, 2 Red-throated Divers, 1 Great Northern Diver, 10 Fulmars, 9Great Crested Grebes and a Red-necked Grebe, with 3 Red Kites, 7 Marsh Harriers, 13 Buzzards, 14 Avocets, a Black-tailed Godwit, 4 Ruff, 130 Redshank and a Snipe of note around the marshes, 2 Barn Owls hunting during the day, a Peregrine, a Woodlark east, 2 Cetti's Warblers, 6+ Chiffchaffs, a female Stonechat along the east bank, a male Wheatear on the NWT reserve, and 12 Crossbills seen briefly in the pines. On the sea today 12 Common Scoters, 14 Red-breasted Mergansers, 1 Red-throated Diver, 2 Great Northern Divers and a Red-necked Grebe were of note. A ring-tail Hen Harrier was hunting near Thornham Harbour and a Firecrest was in the pines behind the sea-watching hide. A single Wheatear was out on the grazing marsh during the afternoon. In the moth traps another Dotted Chestnut, 5 Small Quakers, 4 Clouded Drabs, 13 Hebrew Characters, 2 Common Quakers and an Early Thorn were recorded. Bird of the day without a doubt, White-tailed Eagle ! 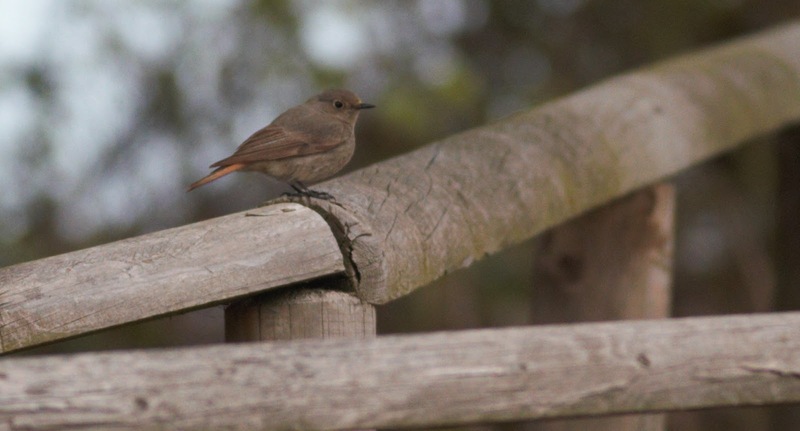 The bird was initially spotted along the coast near Sheringham. 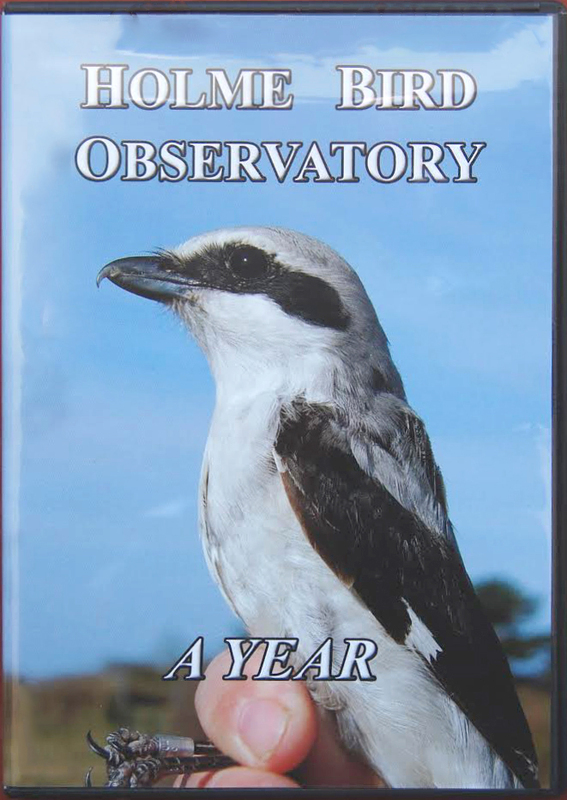 It worked its way west and eventually, albeit distantly, became viewable from the Observatory as it headed for and along Ringstead Ridge. Other birds seen today included two Crossbills, Siskin, Tree Sparrow and there was a report of a House Martin.